Easy and delicious homemade Beer Bread with brown sugar and a crispy buttery crust! 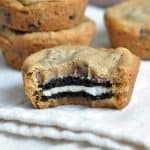 Only 6 ingredients! This recipe was developed by me for Negra Modelo. All opinions are 100% my own. You all know I’m not much of a drinker. And you also know I’d never leave my house if I didn’t have to. Bwah! But sometimes, some things…some people…are just worth stepping outside your comfort zone for. I would say Top Chef Master, 7-award winning cookbook author, award winning restaurant owner, and TV show host Chef Rick Bayless is one of them, no? I met him a couple of years ago at a cooking demo in San Francisco, and have been making his amazing Chimichurri sauce ever since. His authentic Mexican cuisine is outstanding. And his love and enthusiasm for it is simply unmatched. He’s also an enormous fan of the Mexican beer, Negra Modelo. So, the two partnered up and decided to come back to San Francisco for a foodie walking tour around the Mission. This included the most amazing handmade, fresh off the grill huaraches, a butcher shop where we tasted pork ribs, and then off to a bakery where I devoured an Ojo de Buey, which are these two scones glued together by strawberry jam and covered in coconut. OMG. 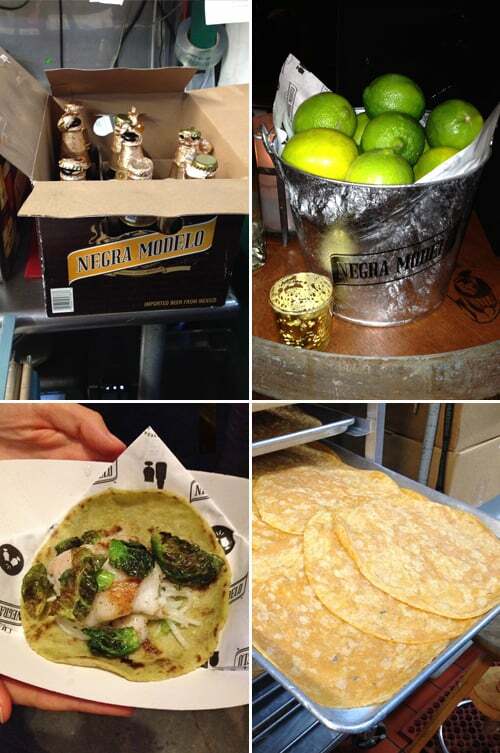 Negra Modelo is the perfect complement to all of these foods. Born at the quarter of the 20th century, their Brewmasters created the Munich Dunkel (dark) style lager by slow roasting caramel malts, a technique that makes the brewing process last twice as long as other beers. Negra Modelo combines the finest Galena hops and yeast varieties with a liberal dose of toasted two-row black malts giving it a balanced, smooth flavor. We ended the evening at a Mexican restaurant where we got to sample food, Negra Modelo, and learn all about peppers, onions, and avocados <<< super fun. And I got to bring home some beer to play with, of course! I decided to bake up some easy beer bread. And, friends, I loved this. LOVED. Who knows why, but beer, brown sugar, and butter just creates a trifecta of deliciousness. This loaf didn’t even last a day! Crazy good. You can find more recipes featuring Negra Modelo, here. watch the video to see how easy it is to make! 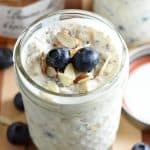 other easy bread recipes we love! Easy and delicious Beer Bread with brown sugar and a crispy buttery crust! Only 6 ingredients! Preheat the oven to 350 degrees F. Lightly coat a 9x 5x 3-inch loaf pan with nonstick cooking spray. In a large bowl, whisk together the flour, sugar, baking powder, and salt. Using a wooden spoon, stir in the beer and 3/4 of the melted butter until just combined. Spoon the batter evenly into the pan and drizzle the remaining 1/4 of the butter over the top. Bake for 55 minutes or until the top is golden and a tooth pick (or long skewer) inserted in the middle comes out clean. Slice and serve immediately. I have been looking for a GREAT beer bread recipe, not from a box!! You’ll love this! Happy holiday to you, as well! I am so jealous that you get to meet so many great chefs! Perks of living near a big city, I suppose…. I’ll keep my mouth shut about the Negra Modelo, but this bread is definitely a keeper! Can’t wait to try it with some of Billy’s favorite beers. Can’t wait to try making this, but where can I buy this beer? It was available at my local market, so it should be at yours. Maybe Safeway? That sounds like my kind of walking tour! And I just happen to be head over heels for beer bread. I mean, really, why wait for yeast to rise when you can get this in the oven in under 10 minutes. 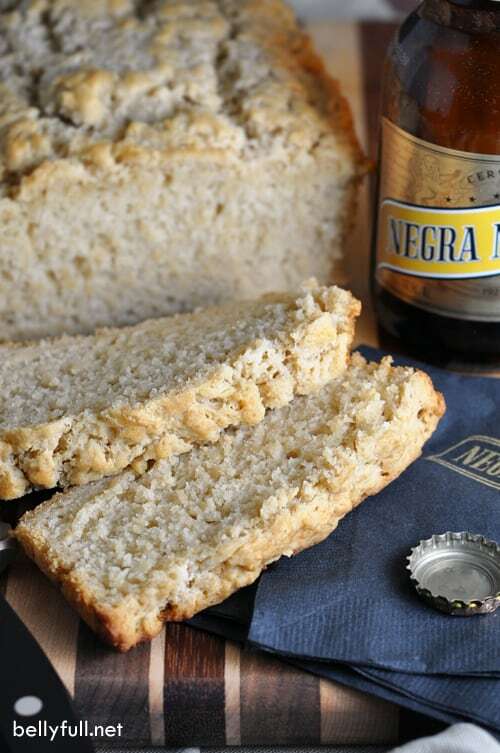 This beer bread looks fantastic – and Rick Bayless – love him! His recipes are always excellent – love that you used Negra Modelo beer in this! Can you use a lite beer? Something along the line of Miller Lite? Hi Larry – you probably could, but I would really recommend sticking to a dark style lager. The malted barley lends to the color and flavor, with way less bitterness. Oh how I love beer bread. Especially with a bowl of chili! And Rick Bayless is the best! 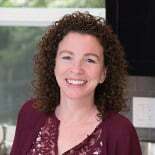 I have made several Rick Bayless recipes over the years and they’ve all been fantastic (seriously, try his moles sometime). This bread sounds absolutely fantastic! Call me jealous! When we visited SF we were lucky enough to have locals take us to the good Mexican joints. 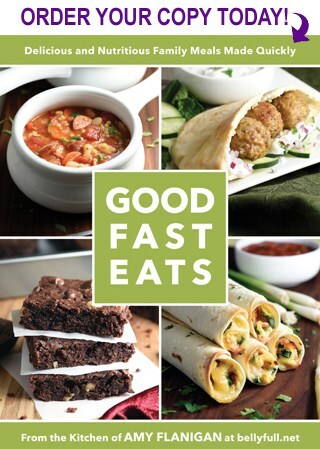 The best food! 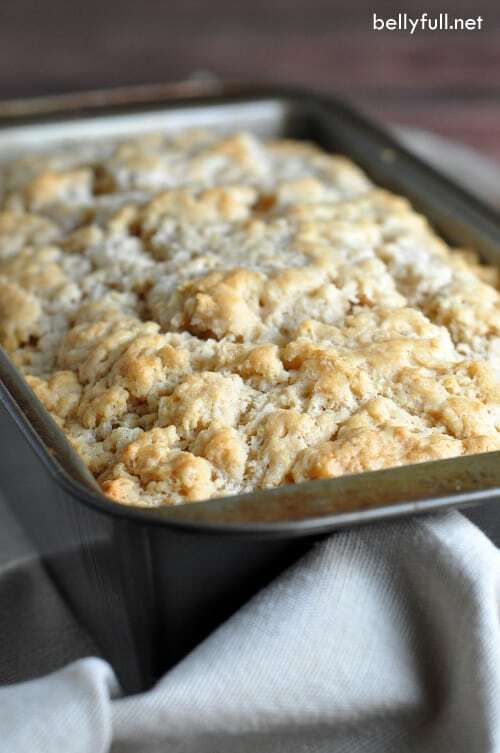 Also beer bread might just be the easiest quick bread out there. 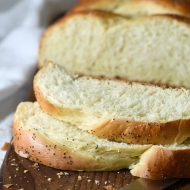 A friend of mine used to make beer bread all the time when I was younger and it was so good. This absolutely reminds me of him and I love it! Hanging out with Rick Bayless is not only worth leaving the house, but also worthy of putting on real clothes and make-up! What an awesome opportunity. Beer bread is my favorite quick bread. It’s so easy that every meal can have fresh bread with it. 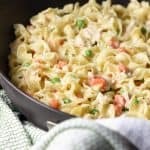 I’m all about this recipe!! 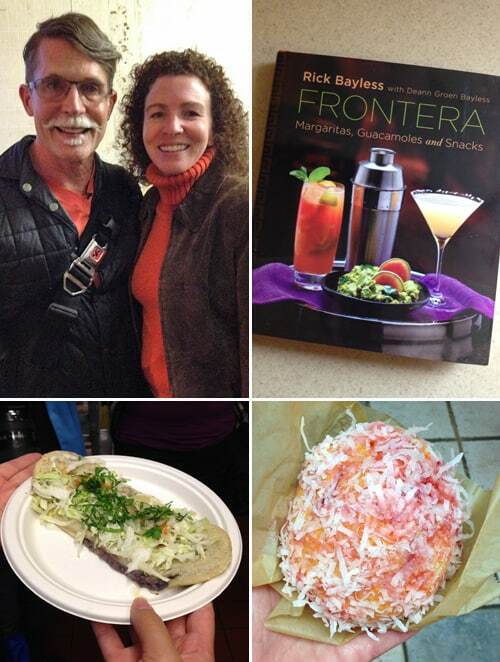 I have been a Rick Bayless fan for years! Negra Modelo is on my shopping list and this bread looks so dang good! I LOVE beer bread. Yours looks fantastic! 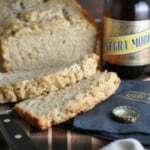 I love trying beer bread with different beers – must try this! 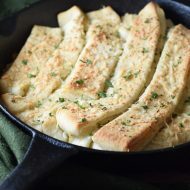 I love beer bread! It’s so simple and wonderful! 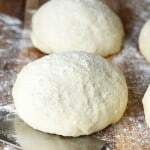 I love easy bread recipes that don’t need yeast! beer + bread? match made in heaven!!! Beer bread is the best! Bet it’s awesome with Negra Modelo! That day was SO fun with you!! I wish we could drive into the city and eat good food every week! So many laughs, so many pastries (I still love that snowball-looking one the best! ), so many memories… And I totally wish I could’ve tasted this bread! It looks incredible Amy! :) Pinned! Wow do you have tortilla recipe? Would love to learn his technique. Hi Dolores – no sorry, I don’t. But I’m sure you could Google for it. Might even find some demo videos. Yep I think you had reason to leave your house. I am not much of a beer drinker, but that really doesn’t matter when making this bread. Gosh it’s so easy. Crazy easy. A few people have now mentioned chili, so I think I’m going to make both this coming week. Looks like you guys had so much fun!! Next time :) This bread looks amaaaaazing! I want some with a big bowl of soup. This would go perfectly with the chili I’m making today. YUM. YES, this definitely would go great with chili! omg, amy. what a fun and delicious night! need to get my hands on that cookbook. and this bread!!! You’ll love them both! Thanks, Mary! Loooove Rick Bayless. So jealous! And this bread…totally happening!! He is definitely enthusiastic and knowledgable about his craft. I love that! Nailed it! This bread looks cray cray good! Had such a fun time with you Amy :) Pinning, of course! Such an adventure. You’re my hero for driving and parking!